EXMOUTH'S ORIGINAL AND ONLY TRUE KITCHEN SPECIALIST. Established in 1995. Proudly your local Second Nature and Ballerina kitchen Retail Showroom for the East Devon area. We have an exceptional showroom right next to the Range in Exmouth. 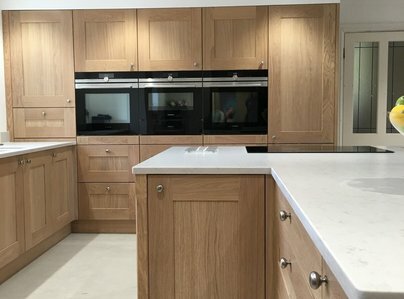 Design, manufacture and installation of fully fitted bespoke kitchens, tailored to you. 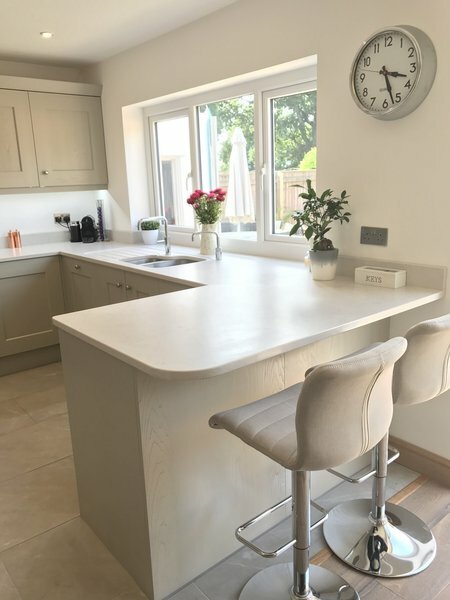 You'll have the comfort of a fully project managed service from initial design and ideas on worktops, storage, lighting and appliances, through to the final installation, all at a price that that might just surprise you. Our kitchen was a dark and dreary place and uninspiring in motivation for culinary creativity. We knew what we wanted and how we wanted it. Adrian was the most patient of men and carefully listened and digested our requests and ideas, whilst at the same time adding his own suggestions and pointing out politely that some of our concepts were not feasible. He and all of his team were brilliant, efficient and dealt with us in a courteous manor. 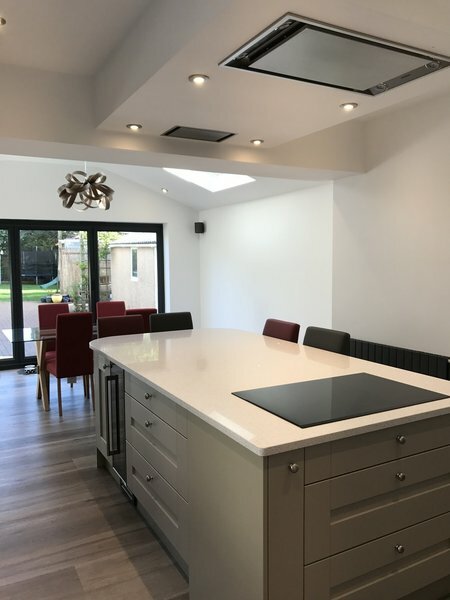 The result of their combined hard work has transformed our kitchen into an unrecognisable space which is light, airy and makes practical use of every millimetre. It is truly our personal showroom kitchen. 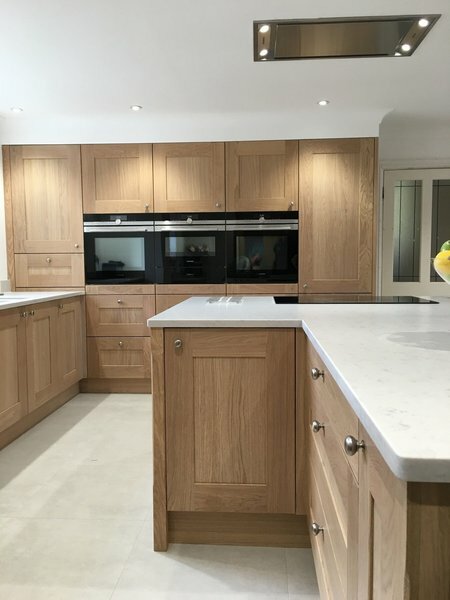 We would have no hesitation in recommending to anyone looking for a new kitchen to commission Adrian and his team at Your Kitchen to undertake the project. Absolutely delighted with our new kitchen! YourKitchen has helped us from the design phase, planning and installation of a new kitchen, replacing one that was 40 years old! 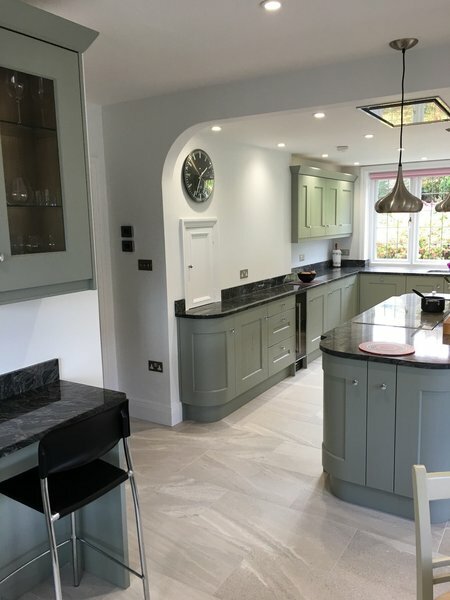 We chose YourKitchen because it is an owner-run business and throughout the process we were working with one key contact who project managed the other tradesmen. From the start, we appreciated that Adrian listened to what we wanted. He provided suggestions that were very helpful and designed a kitchen that matched what we had expressed we would like, and at the price point we wanted. Once the design phase was completed, we were given a clear picture of the full cost. We were also given the timings for each of the stages of the removal of the old kitchen and installation of the new one which was very helpful as we knew who to expect on which day. Any questions we had were answered completely and promptly. We were also impressed that Adrian dropped by numerous times during the installation to ensure that the work was done to a high standard. We are delighted with the kitchen and would highly recommend YourKitchen. Separate Kitchen and Dining Room very successfully converted to spacious Kitchen Diner. Your Kitchen proved very supportive in assisting us to achieve the modern look we required and in taking us through the process. A very enthusiastic knowledgeable approach gave us confidence in accepting recommendations, taking these on and appreciating the outcome. We were encouraged to await developments with a new German supplier and are very pleased with the quality delivered. 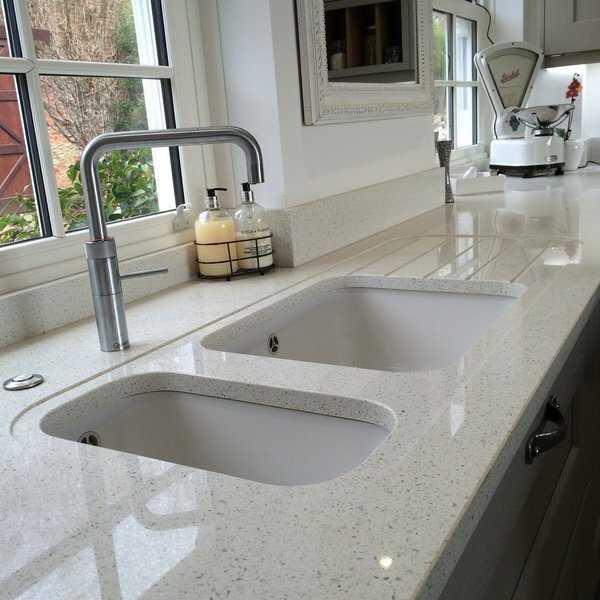 The tradesmen that Your Kitchen has assembled proved friendly professional and very efficient. 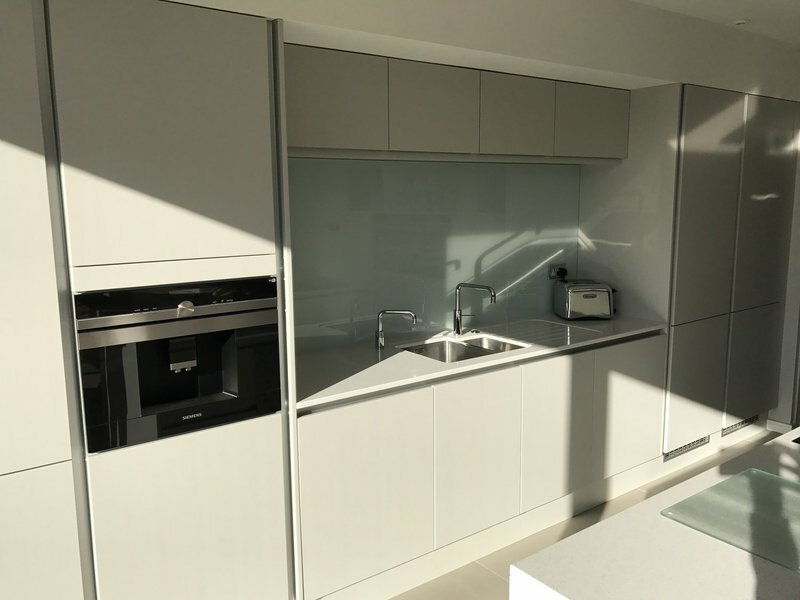 We have full confidence in the outcome of all the works carried out and are glad we chose Your Kitchen for the personal and friendly approach experienced throughout the project. Well designed, beautifully fitted and good value for money. Adrian is adaptable, resourceful and as nice a person as you will ever do business with. A few niggles, but all dealt with and the finished result excellent. If you?re looking for a new kitchen you should talk to Adrian. This trader totally replaced our large old kitchen, laid Karndean flooring, installed new radiators and installed ceiling lights. The trader listened to what we wanted and worked extremely hard to achieve our plan, offering suggestions that improved the project. Some aspects were very challenging (eg building a tall unit to house our poorly placed boiler and designing the surrounding area so that it doesn't dominate the kitchen). He employs excellent craftsmen who take pride in their work - nothing was too much trouble. Complete new kitchen designed, installed, finished to a high standard, amended adapted when required and finished on budget. The workmanship from all of the team involved in carrying out the work was excellent. There was no fuss, nothing was too much trouble, always left clean & tidy and the result is something to be proud of for the customer & of course the supplier. Thank you. So good, we returned for more! Excellent service from start to finish. We had a kitchen installed by Your Kitchen in 2010 and this project was to add as much again after a kitchen extension. The quality of the original carcasses and doors were so good that we had no hesitation in returning to Adrian at Your Kitchen. The end result is that there is no difference between the units that were installed 8 years ago and those that have just been installed - even though cupboard doors are next to each other. We even had the same meticulous fitter, who managed to overcome a few challenges along the way.